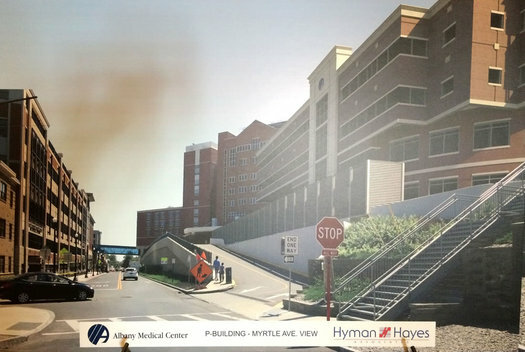 A rendering of the planned new Albany Med building along Myrtle Ave. Th new building is on the left. The building on the right would be demolished later on as part of the project. 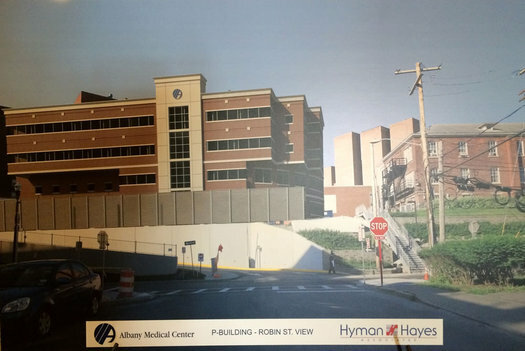 Albany Medical Center's proposal to build a new building on its campus on a site above Myrtle Ave was back before the planning board for site plan approval -- and it got in a unanimous vote. The plan is for a new 5-story, 74,000-square-feet building along Myrtle Ave that will house a new pediatric emergency department and offices. Two existing buildings will ultimately be demolished for the project. There was another new change mentioned at Thursday meeting: Reps for AMC said they had worked out a plan for the sidewalk that runs along the south side of Myrtle Ave to be extended along the base of the building site to Robin Street. The project also cleared another hurtle earlier this week when it got a variance from the city's Board of Zoning Appeals for the 63 parking spots planned for the new building. Under the city's current code, the building would have required the addition of 130 parking spots. The spaces near the building will largely serve as valet spots for the pediatric emergency department. Now with the variance and site plan approval, the project is set to move forward. Timothy Moot of the architecture and engineering firm Clarkson Patterson Lee, who has been representing the project before the planning board, said Thursday that demolition on the first building could possibly start late this fall. He said they're aiming for a 2018 completion of the new facility. The building at the corner of Myrtle and Swan. Up for its first appearance before the planning board Thursday was the planned residential conversion of the Long Energy complex at the corner of Myrtle Ave and South Swan Street in the Hudson/Park neighborhood. We mentioned wrote about this project, called "At Hudson Park," back in June. Because the buildings are historic, Odabashian said the exterior appearance won't change much aside from some restoration work on the windows. But one design change they're working on with the firm 3tarchitects is the creation of courtyards in the center of the buildings that currently serve as garages. The addition would add common space and allow more light for units. This project still has a few hurdles ahead of it, in addition to the planning board. It'll have to go before the city Historic Resource Commission. And even though the Common Council changed the zoning of the site (previously one and two-family row houses -- for the site of a heating oil company) to multi-family medium-density residential, the project will still require a variance from the BZA because of the number of units planned for the amount of land the project occupies. 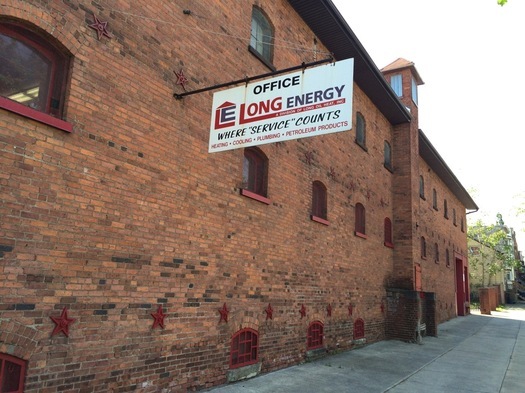 Odabashian said they're under contract with Long for the property, and are looking to a March 2017 closing. If everything lines up more or less on schedule, he said they're planning for completion in early 2018. Is this going to add to the city's tax base, or put more of a burden on the home owner's already taxed to smithereeeeeeeeen's!!! 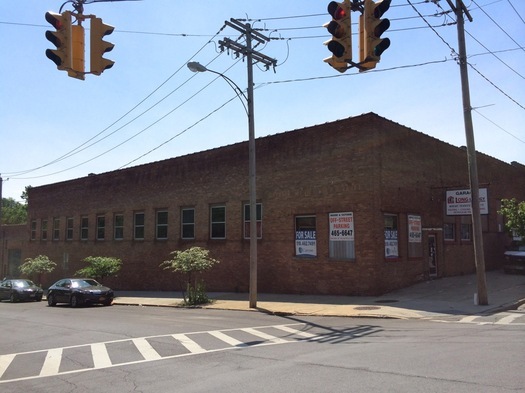 More property that used to be taxed now becoming tax-free thanks to Albany Med! @mg, Keren: The new building will be on land Albany Med already owns. (It will eventually knock down two of its current buildings to make space for the project.) So there will be no change in the amount of taxable land. But what about the increased strain on our infrastructure? Are we going to be so silly as to assume that the sink hole at Madison & New Scotland wasn't in part caused by the greater water and sewage demand created by the every growing medical campus? The City of Albany yet again moves forward with inappropriate development without properly reviewing and considering all ramifications. It's interesting to see the growth of residential developments like this in Albany, however we are now seemingly working towards a model that forgets people of differing socioeconomic statuses. It is sad to think that we are building a city with no regard for this notion. A city built by blue collar immigrants, optimized for use by the state government, overbuilt for the surrounding suburbs, left to rot by the political machine that was more self interested in personal financial success than public good, and now finally being gentrified for yuppie culture who can't afford NYC. The poor track workers & most workers that are there CAN NOT AFFORD TO LIVE IN THAT YUPPIE TOWN! Albany is not Saratoga (thankfully). And rents here are extremely cheap. When these apartments start displacing residents, then we'll talk. Hooray for reusing these buildings and putting them to good use. As for the price, I'd be curious to see what amenities they will offer. $900-1200 sounds fair for a brand new apartment with brand new appliances, kitchens and bathrooms. If they include a washer and dryer in each unit, that would be quite good. 55 Spaces for 75 apartments? That doesn't seem like enough.